So a good start to the month continues but it would have been nice to get two trebles up and I considered overs at PSV. Well done to all the winners and let's hope for more of the same on Friday. The big game is Southampton v Liverpool as Jurgen Klopp's men bid to return to the top of the Premier League. They should win but Saints have been decent recently and Liverpool and both to score has a chance at 11-5 with Betfred. Grant Heaney has posted a Southampton vs Liverpool preview. There's a titanic tussle in Scotland too as the top two in the Championship, Ross County and Dundee United, meet in Dingwall. A couple of weeks ago County lost at United when they had a chance to surge 14 points clear and the situation's the similar again. County will virtually wrap up the title with a win – going eight clear with a game in hand – and while it's a difficult call they might edge it. Kevinmac has posted a Ross County vs Dundee United preview and not surprisingly is going for a draw. Other games to look include Mainz v Freiburg, Bordeaux v Marseille and Porto v Boavista. And of course there are lower-league games in France and Holland and Greg has posted goals tips including an over 1.5 goals Nap here. As usual my focus is on the Saturday card and my Daily Record columns and while I planned to put up a double or treble I'm just going to do Greg's goals bets and stick to a Super Single with the price on both to score at St Mary's tempting me. Southampton netted two in beating Spurs recently and hit two in a 3-2 defeat at Man City so are capable of hitting the target against a Liverpool side who have conceded in their last four – all wins though. Of the other big games btts at Bordeaux is possible with the last three finishing 1-1 while three of the last five Mainz-Freiburg games have been high scorers. Not sure if it has been mentioned yet but seen this posted on Twitter. Maybe HullShaker has some thoughts on it as I know he’s more clued up on that part of the world. Sporting Cristal (Peru) played in the Copa Libertadores at 03:00 this morning. They now travel to face 3rd placed Ayacucho in the League at 21:30 tomorrow night, less than 48 hours after the previous game. It’s thought they will field a much weaker team as the first team played in the Copa Libertadores game. Ayacucho are currently evens to win the match. Melbourne City, shouldn’t post before the first coffee of the day! no Heerenveen goal yesterday downs the double, had their chances too. Will post today’s selection soon. Nothing else although kicking myself for backing out of De Laet anytime as he’d been moved back to defence. What a strike that was!! Also, does anyone know which site lets you bet on player cards on Oz games?? De Laet to score and be carded is a bet I’ve fancied a lot this season and come in a few times but can’t get it on anywhere. keeping an eye on the Melbourne derby in Aus, Knights are favourites to win this game and have a solid home record. they’re currently 6/4 for the win against a poor South Melbourne side. if it stays same at HT will be on them. Let’s try again the O2.5MG’s in Holland. All 9 games in Dutch Eerste Divisie @ 35 decimal odds. After a bright start and the goal scorer bet landing, the BRONDBY game fizzled out! Onwards to today. KRIENS over 1.5 TGS 2/1. Good luck all with bets today ! The Southampton manager has done well since he took over and i would say Southampton will be safe now but they need a few more points to be absolute sure.The hosts are no longer a sit back and defend team under the new manager they like to play football which is always good to see and i don’t see him changing tact tonight which is good for Liverpool because they love to play football themselves and any team who fancies there chances of giving them a game,it brings the best out of the reds and if Southampton do deploy the same tactics as they did v Spurs then i would say goals will be on the menu here.Mo Salah is desperate to score to make it 50 goals since he joined and become the fastest Liverpool player to to do so.He is 4/5 to net anytime and i think he will.Another player worth taking to score anytime is Wijnaldum at 13/2 and of course Van Dik against his old club he’s also 13/2 which is skinny but still has a great chance.I am on a double of Sadio Mane and Van Djik both to score anytime at 20/1,both former Southampton players and both in good form.Joe Gomez also returns for Liverpool after a long absence great news!! Best of luck come on you reds. As you see I’m on btts at evens. Btts doesn’t appeal to me mr f,Liverpool need to bulk up the goals tally and won’t want to concede,not saying Southampton won’t score but if gomez starts the defence is stronger. No club ever wants to concede but they conceded to Fulham and Burnley so every chance Saints will score. I haven’t seen any for Southampton,can’t see them having many backers. 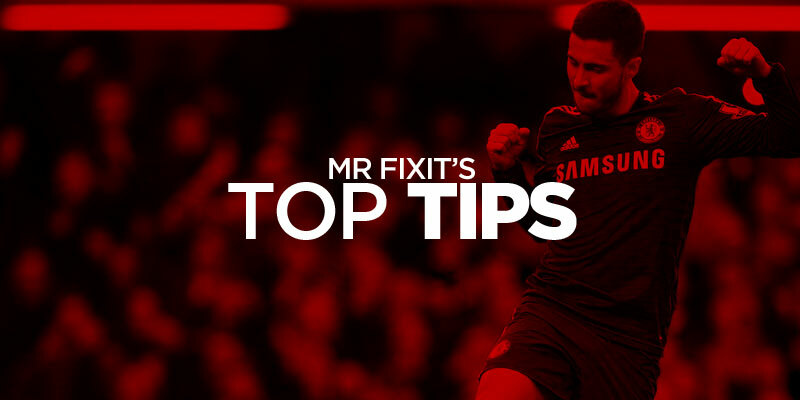 They have tipped Southampton double chance,and also stated Danny ings is not playing either. That’s right – all I want is goals and Ings hasn’t scored this year although still a key player. Of course they could do mr f,but Liverpool have been conceding since Matip came in for Gomez,Gomez is back and it’s Liverpool’s strongest backline,Southampton are capable though. Let’s hope we’re both winners – a lot tips for Southampton going about but goals looks the best way to go. Chongqing Lifan are leading Shanghai SIPG 2-0 and dominating the game. They are currently 11/10 to win the match which is madness if anyone has been watching. Shanghai pulled back to 2-2 pretty early in the 2nd half to make me think it was a mugs bet. Late goal in the 93rd brings to bet in! Southampton scored in there last 10 home league games. Lets hope they can bang in a few tonight!! 16/1 Southampton -1 looks good. How that Mainz game didn’t land BTTS I’ll never know. Mental game. How the hell didnt i see this Indian game…shet!!!! Should be feisty in the Highlands tonight. Ross County v Dundee Unt. Don’t often post on here but really like a few today. My NAP of the day is Horsens v Aarhus in Denmark. Both sides haven’t won in their last 5 matches and sit 1st and 2nd in the relegation play off table. Their last 10 meetings have seen BTTS and 7 of those have seen BTTS and over. Brescia v Venezia btts evens Nap. Venezia to score at 3-4 would be my nap but don’t nap under evens if possible. Over 2.5 at evens and Brescia btts and win at 5-2 also in my thoughts. Two bets for me tonight – both lazy as hell but not without a chance. It’s been a bit of a whirlwind few weeks but will have the chance to get back to ‘proper’ write-ups over the weekend! Robertson for Liverpool is 5/2 for an assist which for someone with 9 assists this season is nice odds! do expect at least 2 more in Germany though. Aberystwyth Over 2.5 tgls looks appealing against cannon fodder Llanelli this as be achieved in the last 3 H2H’s last time out 8 Feb. Away from home. Tonight at home and in good goal scoring form this should land. Bet tonight £5 treb.Betway.S’Ton/Pool bts,Ross/Utd. bts + Freiburg DC. 5/1. tonite, stuck this on a wh machine at lunch as didnt fancy a main bet…………. Almost both teams when Super Mario lost the heid but I’ll take the win. Nice one in Austria greg! Ha ha just scored ,top notch tipping,thanks man. Top tipping as always, Sean! Cheers cocker mate, wasn’t brave enough for the 50 booking points but great shout mate!!! Potential goalfest just about to kick off in the Iceland women’s league cup. Some cracking winners tonight . Well done to all of them. best of luck well done all winners. mentioned afore lassie a used tae work work way trains an is a physio at the wee celtic & glasgow ladies….. Does in good shape mean they only downed 1 bottle of Buckie last night!